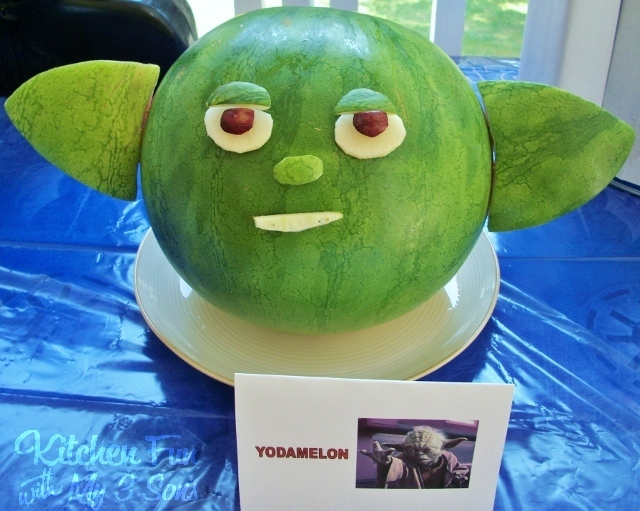 We came up witht his Yodamelon for my now 6 year old Star Wars birthday party yesterday. 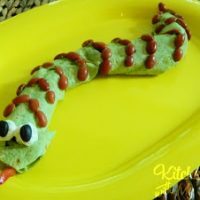 This was a big hit with the kids (and adults) and you will love how easy this is to make! In my opinion this is a must have for a Star Wars party! We found a good round watermelon at the store. 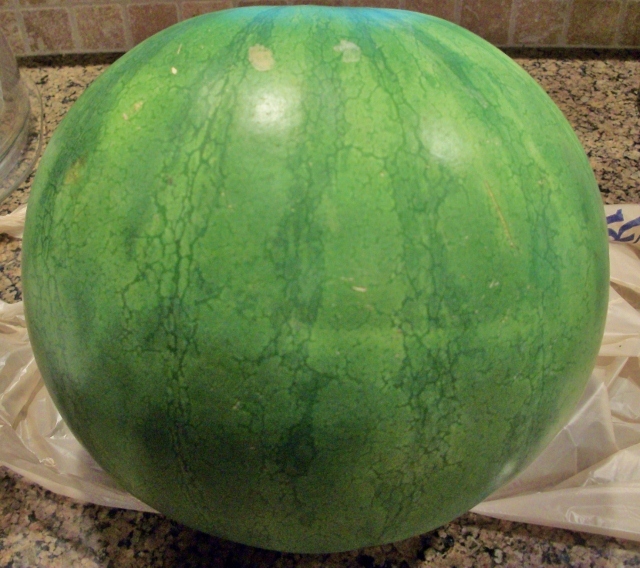 We sliced off just a small slice from the bottom to get it to stand up and not roll around…. 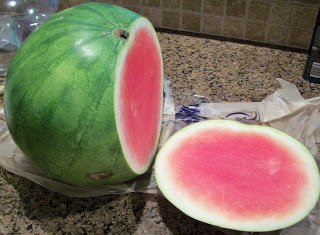 Then take that other half piece and cut that in half to shape the ears. Take the two halves and round off to a point with your knife. Attach with tooth picks. 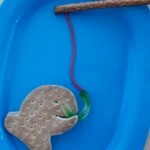 Use your scraps to decorate the face and attach everything with toothpicks. The pupils on the eyes are 2 dark grape halves. That’s it! 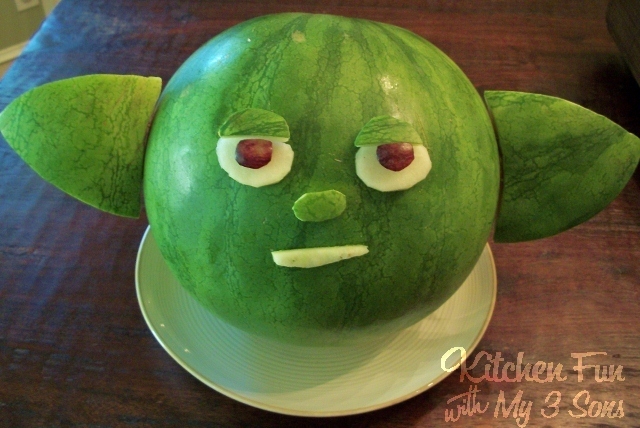 Kids love watermelon and kids love Yoda…it’s a win win! If you love Star Wars make sure to check back with us daily for the next couple weeks…we have lots of fun Star Wars party food to share with you. You can check out our Planet Hoth Wampa cake posted yesterday. We will take all of our ideas and put them into one post when we are done sharing our how tos. « Previous PostPlanet Hoth Wampa Cake…Star Wars! Popsicle Lightsabers with a FREE Printable and a Popsicle Giveaway! This is too cute! Who would have thought? Well, I guess you because you're so creative like that!! So fun! Can't wait to see all the other fun stuff you came up with! This is so awesome!!! I see you like Star Wars like we do in our family! I'm loving all of these Star Wars ideas, so keep them coming! this rocks!! Made me chuckle! Love this! We are big SW fans at our house! Can't wait to show my boys this, lol. Now, that is something I haven't seen before! My boys will love this! I'm pinning it for a future party. thanks for sharing at our Handmade Tuesdays party. 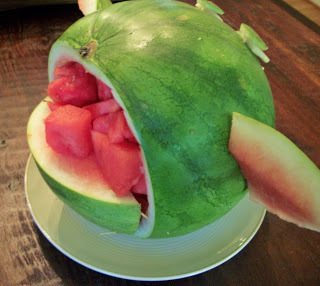 You are sooooooooo creative with food! I voted and I hope you all win! You deserve it! How cute!!! My boys would have loved that! TOO cute! Definitely Pinning this!! 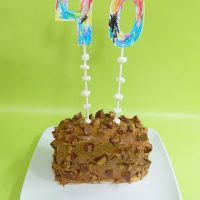 I have to feature this today, and pin it, and try it soon because Reece is a HUGE Star Wars fan 🙂 Thanks so much for sharing at Mom On Timeout!